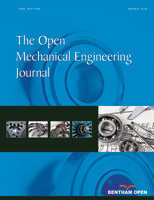 In this paper, a new tank with cryogenic charging (liquid nitrogen) is introduced. On the basis of this tank it is proposed to create a throttle cooling system, which may have enhanced characteristics compared with a throttle cooling system based on high pressure tank. This article deals with first results of tests of a tank with cryogenic charging (liquid nitrogen), which have been made at level of pressure to 4 MPa. Also it is shown that the behavior of parameters in a tank on time corresponds to calculation model.